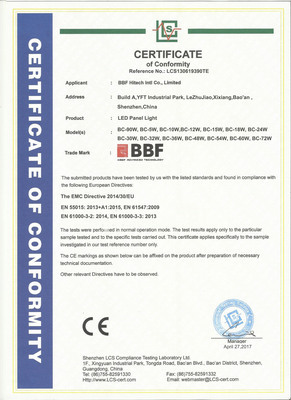 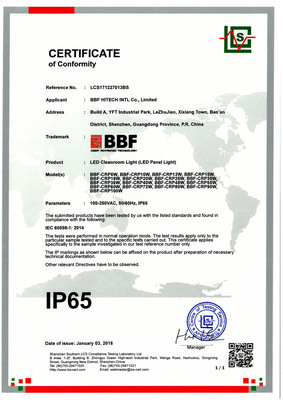 BBF HiTech is a professional manufacturer for Cleanroom lights in Shenzhen City, China. 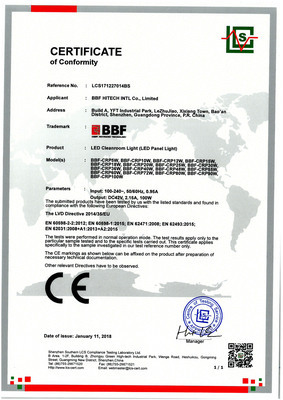 Founded in 2011. We are approved with ISO9001:2008 and ISO14001:2008, Lights have passed CE(EMC, LVD, BMF), RoHS, FCC, CCC, IP65, IP67...etc certificates. 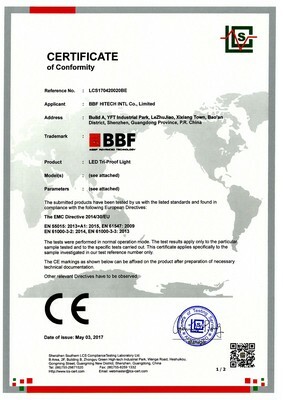 For past 7 years, we have supplied lights for Europe, North America, Australia, South America and Asia. 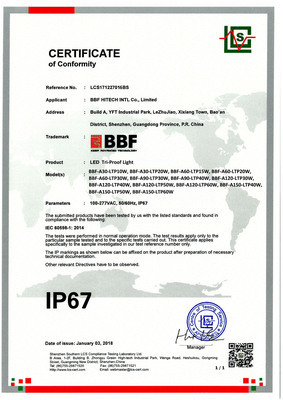 We focus on developing and manufacturing kinds of Cleanroom lights, Main products Series are: Cleanroom Ceiling Lights - C series, Cleanroom Keel Lights - K series, Germicidal Lights - G series and Cleanroom affilicate Lights - B series. 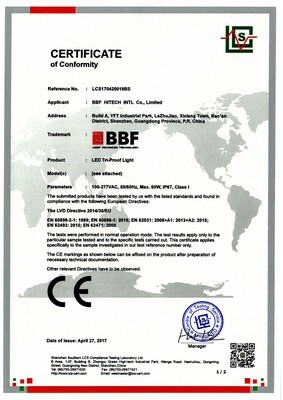 We are a positive team with rich experience for lights, fast actions and good services. 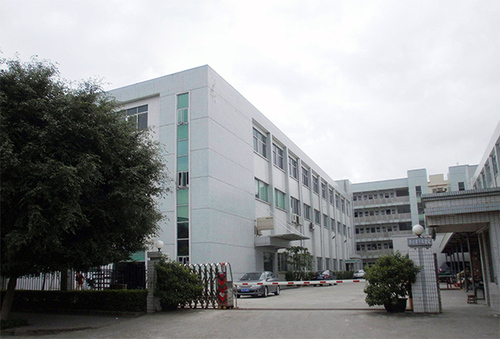 Our workshop is 3000 square meters under standard manufacturing procedure, strickly inspection system for incoming materials, in assembly line and before package. 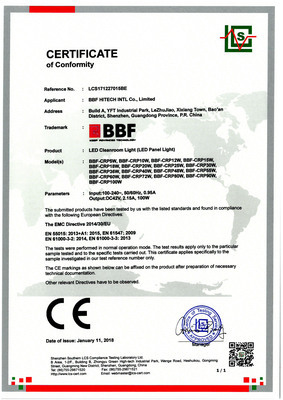 We offer OEM and ODM Services, new ideal is highly appreciated, and customized products with small quantity is welcome, We will keep working hard in innovating more styles to meet special requests.